I had that horrible realisation a few days ago when you realise that you've just used up the last of a Mac product and haven't exactly got the bank balance at the moment to replace it. 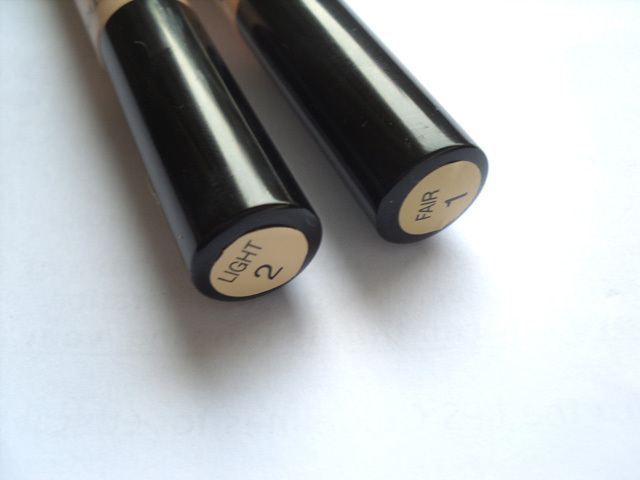 For the last year or so my go-to concealer has been Mac Pro Longwear NW20, which is great for me, I get occasional spots and blemishes, but overall my skin is pretty clear, but do suffer with really dark circles under my eyes. 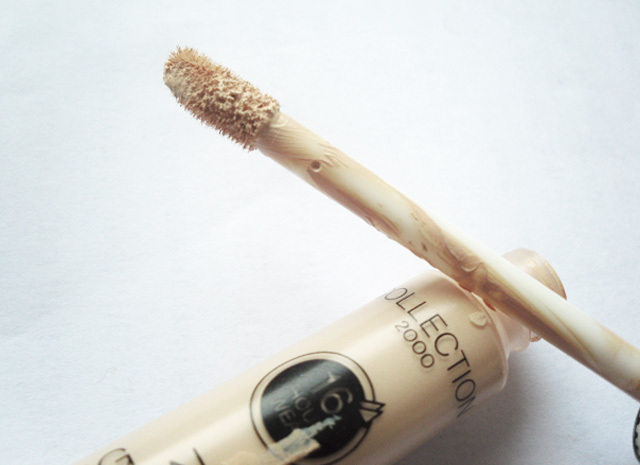 I'd seen a few reviews on Collection 2000 Lasting Perfection Concealer, and each one has been really positive, and a lot go as far to call it a 'miracle drugstore product', so I thought I'd give this a try until I'm back to being able to afford to live. I'm REALLY impressed with this concealer. At around £4 its an absolute steal for the high quality. It's thick and creamy so provides a good coverage, but isnt cakey and is easily blended into foundation with my MAC 224. I was a bit worried as I swatched the colours on my hand next to my foundation as they looked very ashy toned in comparison to my warm Healthy Mix foundation, but its soft enough to mix two shades together which is perfect for me, as I'm somewhere in the middle between deathly pale and normalpersoncolour. 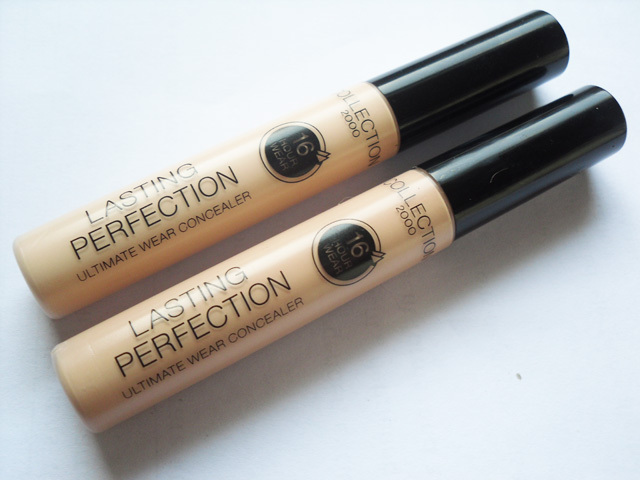 I totally recommend this concealer for anyone after a new concealer with staying power and good coverage. Dont be put off by the cheaper brand (guilty makeup snob right here), its most definitely a drugstore product deserving a chance. it really is surprisingly good! oh god that sounds disasterous! ill update this if mine decides to implode! Ive used this for a good year or so, the only downside to it is that after youve had it a while the writing fades off the label so looks a bit messy which bothers some people. Apart from that its a solid winner in my makeup bag for years to come. really considering getting this! 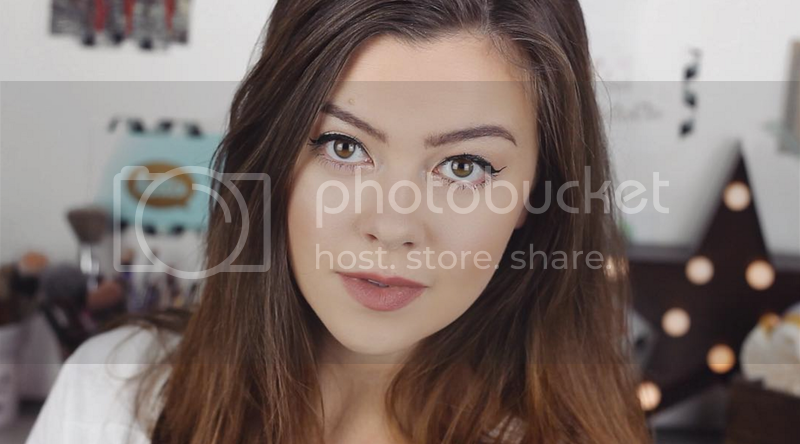 do you know any good inexpensive foundations aswell? I impressed it. I am nw 15 which colour good for me?